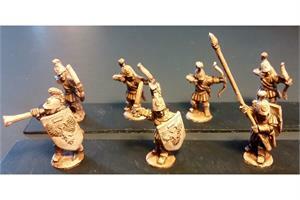 This pack contains 32 Legian Bowmen, and 3 Command Figures. There are 4 variants of the Legian Bowmen figures. 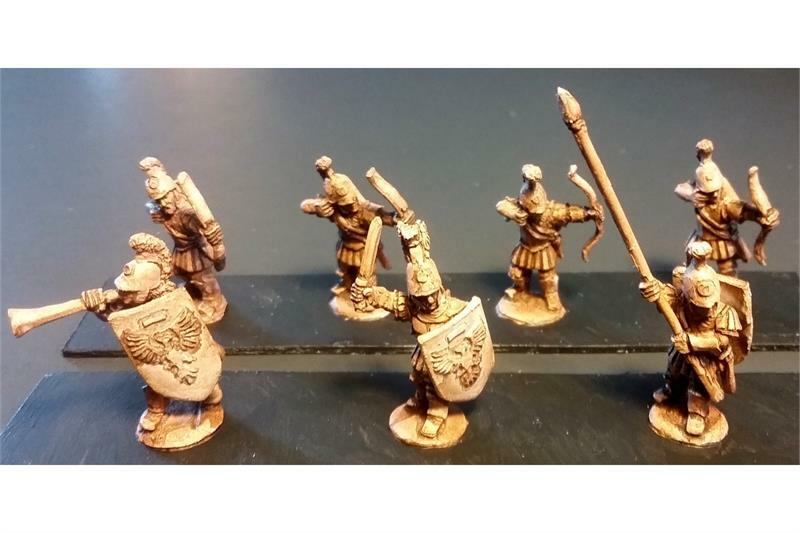 You will receive a random mix of 32 Bowmen, and a random set of Command Figures consisting of an Officer, Standard Bearer and Musician, plus 3 Shields.